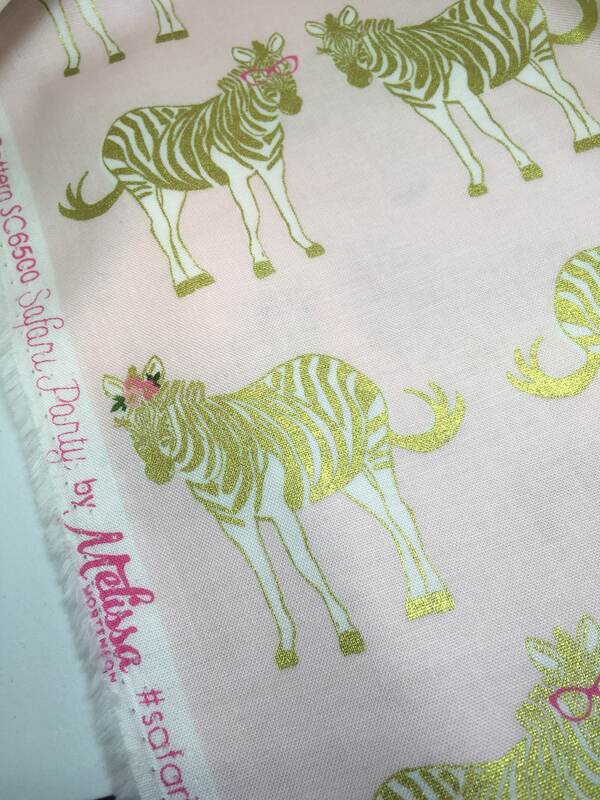 Sarafi Party by By Melissa Mortenson for Riley Blake. 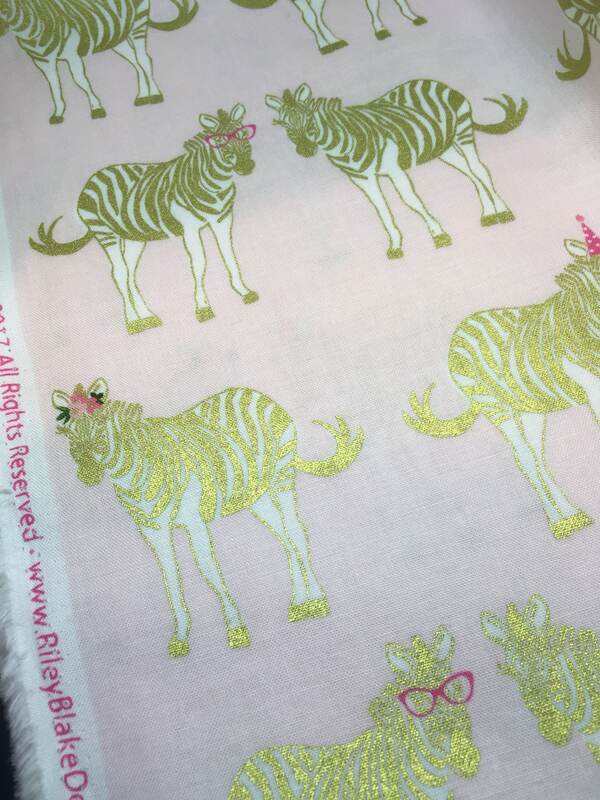 Riley Blake metallic gold foil printed cotton. 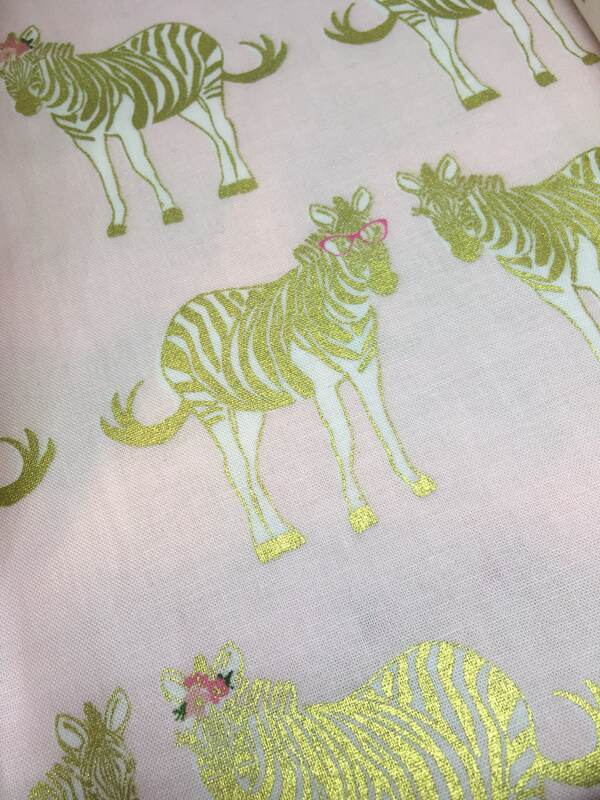 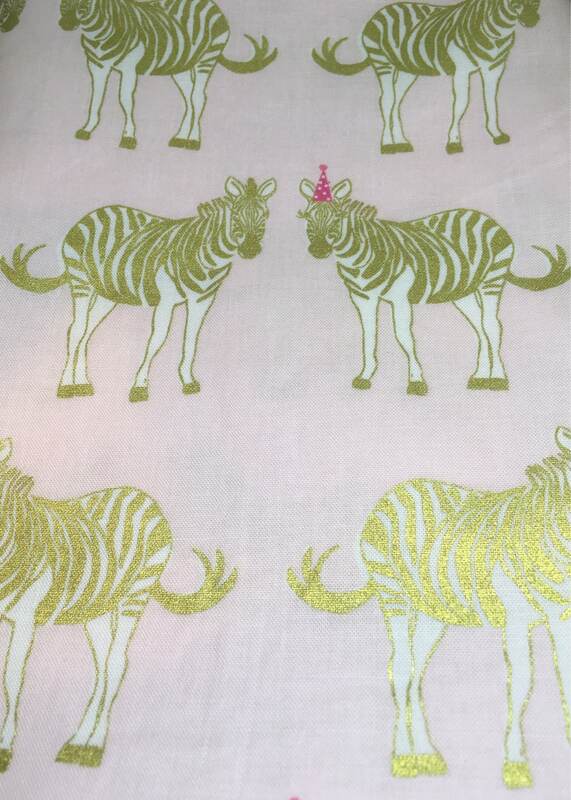 This 100% cotton fabric is stunning with printed zebras wearing glasses, party hats and floral crowns. 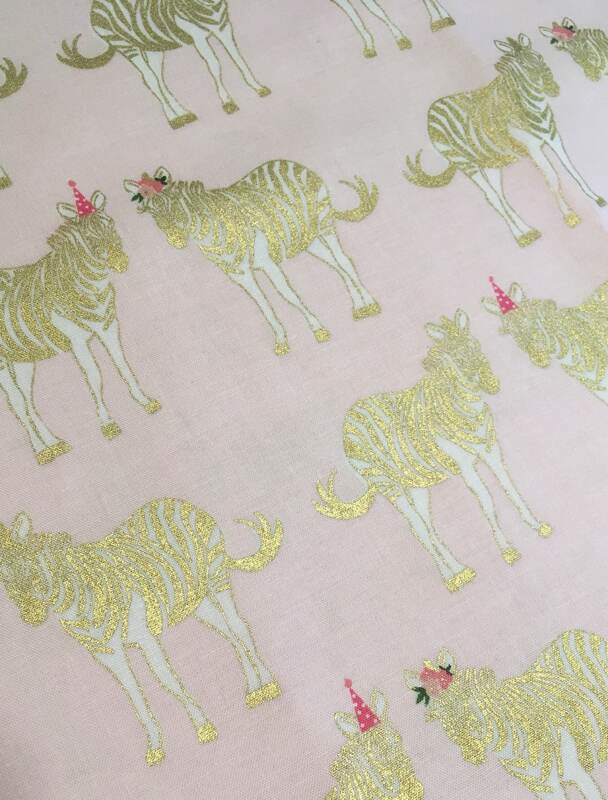 Each zebra is printed in beautifully soft metallic gold foil. 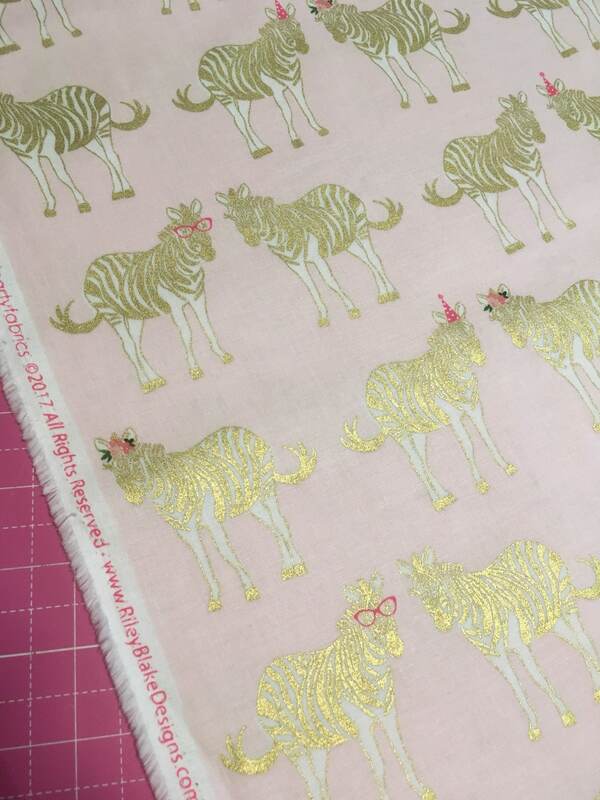 This fabric would look stunning in a nursery or is equally perfect for dress making projects. 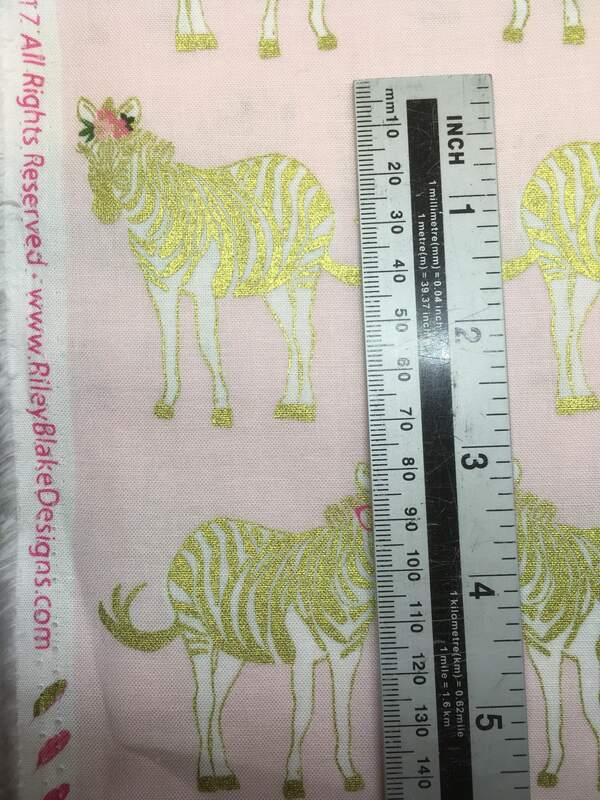 The fabric can be machine washed on 40 degree delicate setting (do not tumble dry). 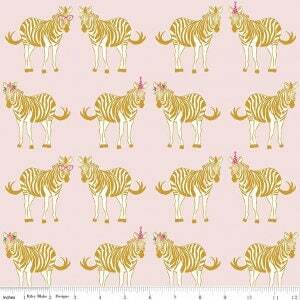 Each zebra is approx 7cm tall.